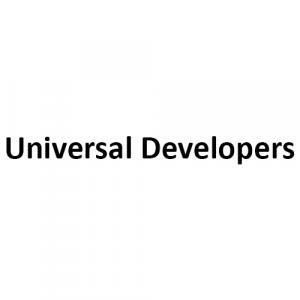 Universal United Bhaban by Universal Developers situated in Barasat, Kolkata is the space truly provides you with the unique feeling of calmness, welcoming the aura of fresh air into the living space. The place truly provides you with the unique feeling of calmness, welcoming the aura of fresh air into the living space. The homes are designed to help you in enhancing the lifestyle. Barasat is an upcoming locality in the outskirts of Kolkata and also acts as a nodal terminal point. Its close connectivity with Barasat-Barrackpore road, Ardevoke road, Niveditapally Road, Rabindra road, KB Basu Road, Taki Road makes accessing more convenient. Hoogly River is located at a stone throw away distance adds the aesthetic value of this locality. Barasat is also well connected by railways with Sealdah, Bongaon and Basirhat. Barasat Junction is the nearest railway station. Netaji Subhash Chandra Bose International Airport is at a short driving distance from here. Some of the well-known educational institute here are Barasat Peary Charan Sarkar Government High School, Barasat Mahatma Gandhi Memorial High School, The Central Modern School, Little Angels Convent School, Adamas Institute of Technology, Brainware Group of Institution and Barasat Government College. Barasat State General Hospital is the major healthcare facility in Barasat.